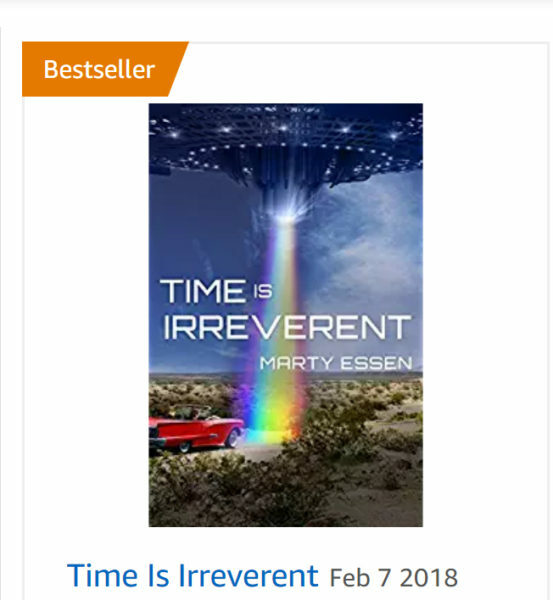 If you follow my posts, you know: “Time Is Irreverent” wasn’t supposed to be published until March 1st, but a miscommunication with Amazon resulted in an accidental publication date of February 7. I wasn’t prepared and was in a near-panic because none of my promotions were in order. I quickly did what I could on short notice, and things started happening. This screen shot from Amazon in Canada greeted me this morning. Gotta love the Best Seller logo they added! In the last few days, “Time Is Irreverent” has been a Canadian #1 Best-Seller in Political Humour, LGBT Science Fiction, and Time Travel. It also hit #2 in Satire and Alternative History. My initial big American push starts today and runs through Wednesday. With a little luck, perhaps that Best Seller logo will appear on Amazon’s American website as well. And if you’ve already read my book, you will be a hero to me if you would post a short review on Amazon in the coming days.